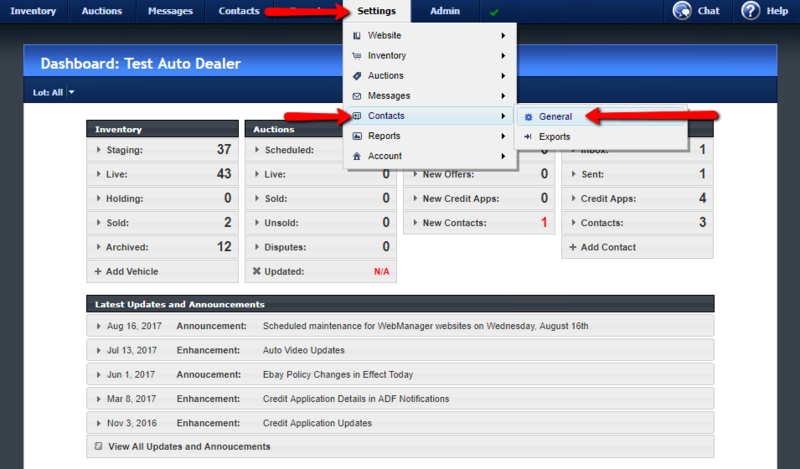 Contact Settings allow you to set how many contacts are displayed per page, and the default sort order. To access the Contact Settings, hover the mouse over Settings, Contacts, then click General. To adjust the number of contacts displayed per page when you are viewing the main Contact list screens, enter a value between 3 and 50. The number of contacts that can be displayed on the screen without having to scroll will depend on your screen resolution. We recommend that you set a value that will allow you to see as many contacts as possible without scrolling. You can specify a default sort order for your contacts list screens. You can still change the sort order when you are viewing your contacts, but the default sort order will be used if you leave and return to your contacts list screens.